A book rich in information and knowledge, covering cultivation, conservation and ecology in an encouragement to grow-your-own. Species covered include Golden Seal, Kava, Black Cohosh, Blue Cohosh, Bloodroot, False Unicorn, Slippery Elm and Echinacea. An indispensable reference. Highly recommended. 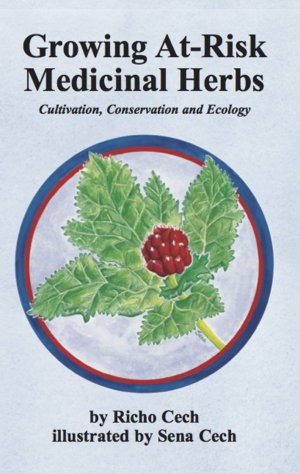 Be the first to review “Growing At-Risk Medicinal Herbs, book” Click here to cancel reply.